The value of pipe #325 is n/a points. 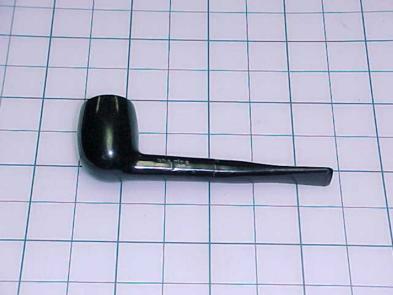 The 2001 Chicago Pipe Show was, as always, a stunning exhibit of pipes and pipe paraphernalia. I met John Self there and he told me about some the pipe he had and would I consider trading one of my books for them. I agreed and about a week later three pipes arrived. After looking them over I gave John a book and a few dollars besides. These are not the best specimens in the best condition but they are good pipes which John obviously smoked many times. I am happy to offer them to other collectors and smokers on the Pipes for Sale page. Jeff Goswick took a liking to this one and bought it.